If you ever hear a fire engine racing through Whitchurch or Llandaff, there’s a good chance that firefighter Rhys Griffiths will be on board. Rhys is a former professional footballer who has played for the likes of Plymouth Argyle, and has been the Welsh Premier League’s top scorer on seven occasions. A three-time winner of the league’s Player of the Year award, Rhys has also been capped six times by Wales at semi-professional level. These days, as well as managing a Welsh Football League Division One team in Bridgend, you’ll find him working out of Whitchurch Fire Station. 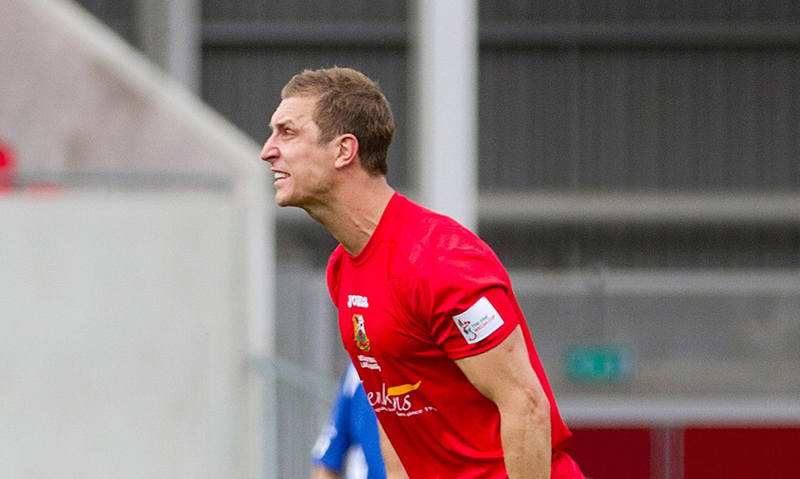 Rhys’s professional football career started in 2001 when he joined Cwmbran Town. After stints at Haverfordwest, Carmarthen and Port Talbot, he joined Plymouth Argyle for the 2012/13 season before signing for Newport County. 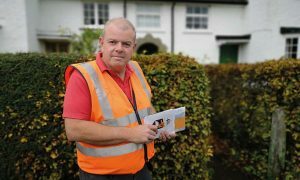 Throughout most of his football career, Rhys has also been working as a fireman, first in Penarth and now based here in Whitchurch. “I’ve been working as a firefighter since 2005. It’s something I’ve always wanted to do as I like to help people. There’s a lot of variety to the job – you never know what’s going to come next. One minute you could be sat having a meal or writing up a report, the next you’re flying out of the door to deal with a fire. Rhys took the rejection hard but inspiration came from two close members of his family. “It was my grandparents who eventually phoned me a few years later to let me know that the fire service was recruiting again. After the hurt of the previous application, I was very unsure. I didn’t know if I could put myself through that again and be given the same outcome. Grandfather William died a few years ago and his death hit all the grandchildren hard as the family all shared a close relationship over the years, especially as Rhys was growing up. “My grandparents played a massive role in my upbringing. I always think that there are two types of grandfather – the old grumpy types who are always moaning; then there’s the lovely, kind ones who’d do anything for you. My grandfather was one of the latter. I have so many wonderful memories of him and my nan. She still lives in Rhiwbina. “I remember him taking me down to his cellar many times and there he’d show me his ‘pet’ spider called Horris. Horris lived for about 25 years and in that time, he changed shape, colour and size. It wasn’t until I grew up and was told that spiders can live for about 2 years that I realised that Horris wasn’t in fact one spider, but a series of spiders over the years. Rhys has made sure that the memory of William lives on. In a series of events over the last year, Rhys has managed to become a published children’s author – and his book has been dedicated to William’s memory. “I’ve got a photo of my grandparents up in my house and my two young boys kept asking about it. I felt that I needed to give my kids some context to the people in the photo. 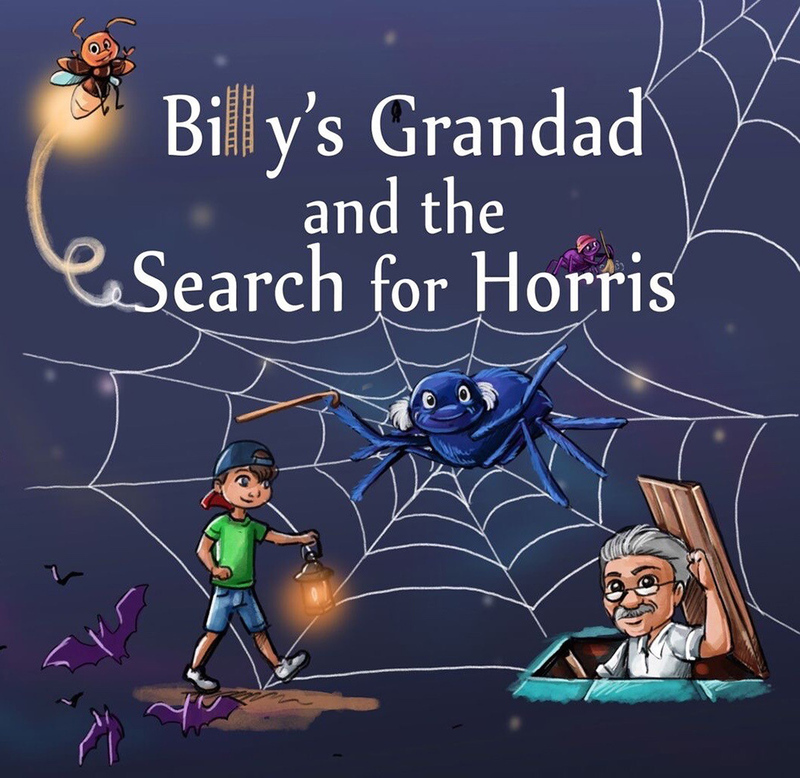 “One night, I was putting the kids to bed and instead of reading them a usual story, I recalled the time that my grandfather took me down the cellar and showed me his pet spider Horris. A few nights later, my son asked me to tell him the story again so this time I had to write it down. I retold the story several times a week so I started creating drawings on my iPad to go with it. Within a few weeks, I’d created my first book. “It was obviously a rough version but my kids loved it and I thought about getting it published. Eventually, I got in touch with a publishing house who said that they’d put it in their catalogue. The book needed a complete revamp though so I worked with the publishing house to get the book ready. The book was finally submitted for publication and Rhys will be officially launching it in the summer. “I’ve had a few copies sent to me and my first job was to give a copy to my nan. Even if I do nothing else with the books, all the time and effort that I put into it was worth it just to see my nan’s face when she saw the book. “I’ll be officially publishing on June 30th at the Rhiwbina Festival but the book can be pre-ordered from Rowanvalebooks.com and Amazon. A limited number of copies are also available at the Little People Store in Rhiwbina. “If someone had told me when I was a kid that I’d end up publishing a children’s book, I wouldn’t have believed them. In school, we always had comprehension drilled into us. The problem for me was that it all focused on things that I had no interest in whatsoever. English lessons always centred around stories that had no relevance to me. Now if they’d given me a match report for a football game and questioned me on that, I’d have been able to answer all the questions, and get them all right. Rhys’s pride in his publication is apparent but is also tempered perhaps with a little bit of shyness. “I’m no English literature student but I’ve managed to publish my own book, which is something that I thought I’d never do. Meanwhile, Rhys also continues his other passion of football as manager of Pen-y-Bont FC in Bridgend. “Being a football manager takes a lot of dedication and devotion. But football is such a big part of me that I can’t imagine my life without it. My book is a totally different part of my professional life but it’s one that I felt I wanted to do.